CHARLOTTETOWN -- Progressive Conservatives in Prince Edward Island have voted in Dennis King as their new party leader -- just in time for a possible spring election. King, a former journalist and communications director, won 2,071 votes on the second ballot at the party's leadership convention in Charlottetown. Addressing the gathered party members in his victory speech on Saturday, King thanked his supporters and everyone else who voted. "We elected a party leader today, but it's not the job of one person. We need all hands on deck: we're going to need ideas, and energy, and determination, and money," he said. "Our job now is to come together for Islanders and offer a strong, viable, principled party for change in a political climate, ladies and gentlemen, that is ripe for change." Four other candidates -- Allan Dale, Sarah Stewart-Clark, Shawn Driscoll and Kevin Arsenault -- also vied for the party's top job. Driscoll was dropped from the race after he received 307 votes on the first ballot, the lowest number. Those votes were redistributed among the remaining four candidates for the second ballot. Party members have been able to vote electronically since the start of the month using a preferential ballot, where they could rank their candidates in order of preference. This is the first time that all the votes have been cast electronically for an Island political party leadership race. The Island's Progressive Conservatives have had six leaders or interim leaders since 2010. King will replace James Aylward, who was chosen leader in October 2017 but quit after saying he wasn't able to make a strong connection with Islanders. In his speech, King said he has plans to meet with the party's caucus members in the days ahead to strategize for the upcoming election. "We don't have time to rest, we have to keep rolling," he said. P.E.I. 's electoral reform referendum period began on Feb. 1, meaning a referendum -- and provincial election -- must be held within eight months. 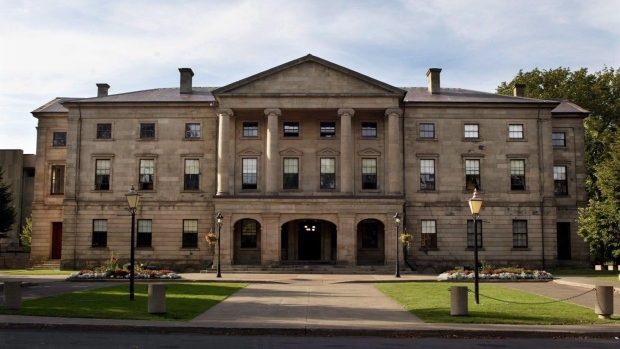 With a federal election set for the fall, observers say P.E.I. will likely hold its vote in the spring.